Thank you for supporting our community child care programs. 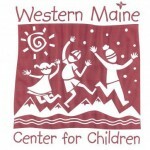 Please know that 100% of the funds raised go directly to local programming here in Carrabassett Valley. Spring Raffle~ each year we offer a different prize for our raffle. In the past we have raffled mountain bikes and kayaks. In 2012 we are raffling off a 4-night trip for 2 aboard the Victory Chimes. Summer Golf Tournament~ traditionally held in August, this year will mark the 5th Annual WMCFC Golf Tournament. Folks from all over the state of Maine (and then some) come on up to enjoy a beautiful day on the well-known Sugarloaf Golf Course and to support Western Maine Center for Children. At the end of the round, enjoy the awards party, usually held at The Rack. Homecoming Auction~ Sugarloaf’s Homecoming Weekend in October is when we host our largest fundraiser of the year, the Homecoming Auction. It is usually held at The Bag & Kettle on Saturday night of that weekend. With many wonderful donations from local establishments, individuals and artisans, WMCFC is able to raise a large portion of the funds needed to keep the facility operational. We are always seeking volunteers and items for donations for all of our events. If you would like to join in the fun or know someone else who might be interested, please contact us! 207-237-3223 or westernmainekids@gmail.com. Thank you again for your support.